Sometimes the only cure for a bad day is to take a good, hard look at some beautiful interiors. Really, who doesn't find a dream kitchen or totally lush bathroom appealing? While it can at times be a somewhat depressing experience, (reminding us what we don't have and all) it's also totally inspiring and exciting to imagine ourselves in new spaces, creative interiors and gorgeous environments. This compilation of super cool interior spaces from homify doesn't have a specific theme, it simply seeks to provide you with some of our very cool modern rooms and designs. 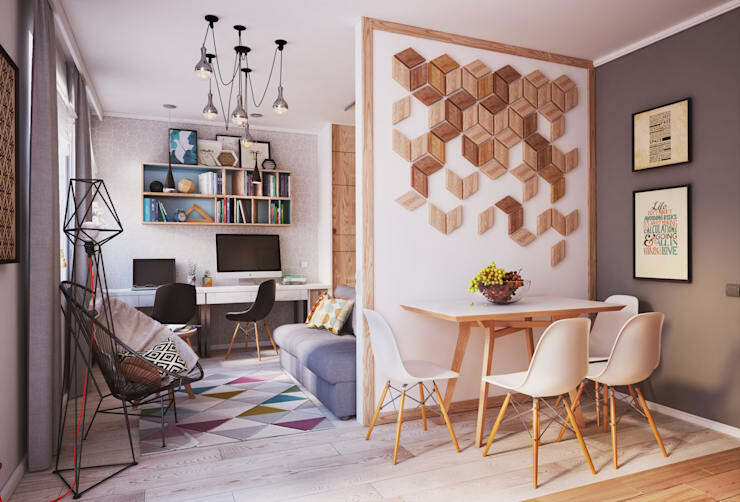 Take a break, take a look, have a read and enjoy these awesome ideas—you never know, you might be able to incorporate some of them into your own home. This room, or two rooms really, incorporates so many cool, modern elements that it should really be too much to take. Despite this, the designers have somehow managed to piece together a room in perfect balance in terms of colours, shapes and lines. This has largely been achieved by sticking to fairly muted tones, and keeping colours on a dull pallet; not bright enough to clutter the space, but still present enough to bring some life. So gorgeous—and those chairs, yes please. A space with this kind of beautiful, natural light simply needs a stunning interior to match. 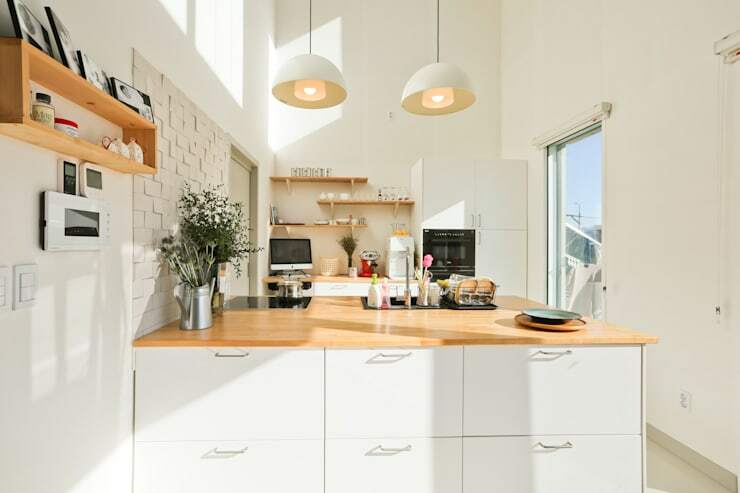 While this room isn't particularly large, the all white design, with beautiful touches of natural wood, and total dedication as a kitchen space makes it seem a whole lot bigger than it is. The low hanging lights bring a sense of cosiness that can otherwise be lost in very bright, white rooms, and the small furnishing and decorations make it feel like a home. Choosing the right art or images to adorn on your walls is often a very difficult decision, then once you've decided what you want you are presented with yet another challenge—where exactly to place it. The interior genius' who pieced together this incredibly trendy, Scandinavian style living room have made the very precise placement of the frames and images look effortless. The colours match perfectly with the accents and decorative pieces, gluing the room together in a stylish yet totally approachable way. An armchair might seem like the type of item you think about last, when decorating a room. Maybe if there's a spare space, you'll think about placing one in it. What many people forget, is that an armchair can actually be a multifunctional piece which can add much needed colour to a room, or even help to bring the whole space together. This room clearly has a 70s theme in place, but before the chair it was sticking to pretty earthy, natural tones, which while beautiful, don't express the fun and excitement of the decade that so many people have nostalgia for. What's great about this chair is that it could actually work in many different styles, for example imagine adding it to a minimal, or Scandinavian room; it would be that perfect statement piece. Buying stuff that looks cool is all well and good, but at the end of the day what most of us need are items and furnishing that actually have some benefit in our homes and lives. This hall table/accent table fills the brief of providing function and style perfectly. For one, it looks super cool. 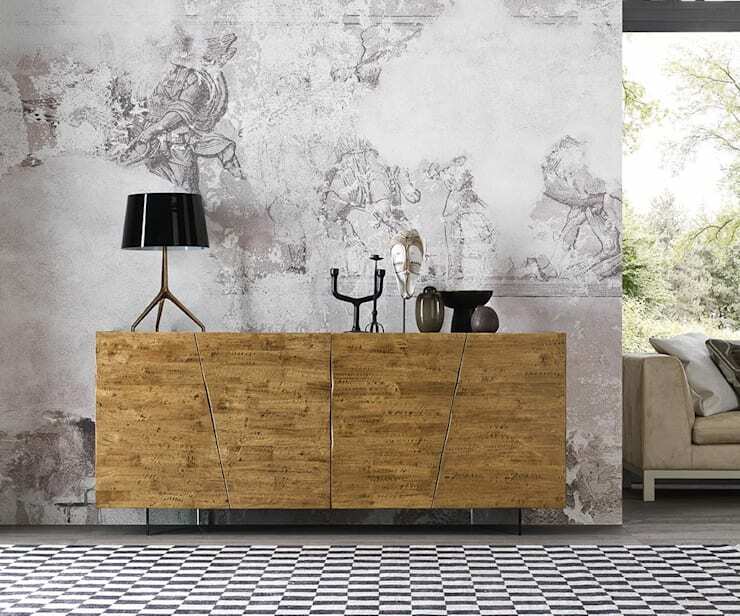 The black and white table top and shelves combined with the natural wooden legs are striking, and the placement of decorative as well as necessary items shows that it also has huge versatility. These tables can be slotted into lots of spaces in the home too, given their relatively small breadth. Nothing breathes life into a room more than a stunning piece of wooden furniture. This cupboard illustrates this point exactly. The otherwise greyscale space is transformed by this piece, which looks totally lush in this space—bringing nature as well as added sophistication to the room. An added benefit of pieces like this is that you can fill them with whatever you want and simply close the door, so they're an ideal storage system and clutter hider. Who knows? Maybe this cupboard is hiding a whole lot of plastic children's toys or mismatched paraphernalia from the otherwise chic and stylish room. 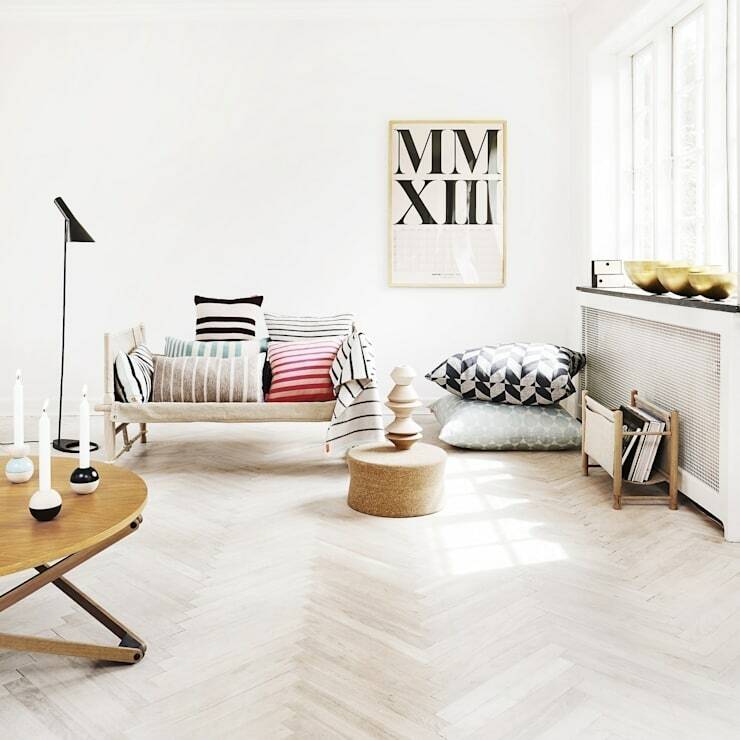 Natural, homely, warm and welcoming rooms and furniture are beautiful and cosy, but something about nordic/Scandinavian design puts it in a whole league of its own. You either love it or you don't, and if you do then this room is sure to knock your socks off. 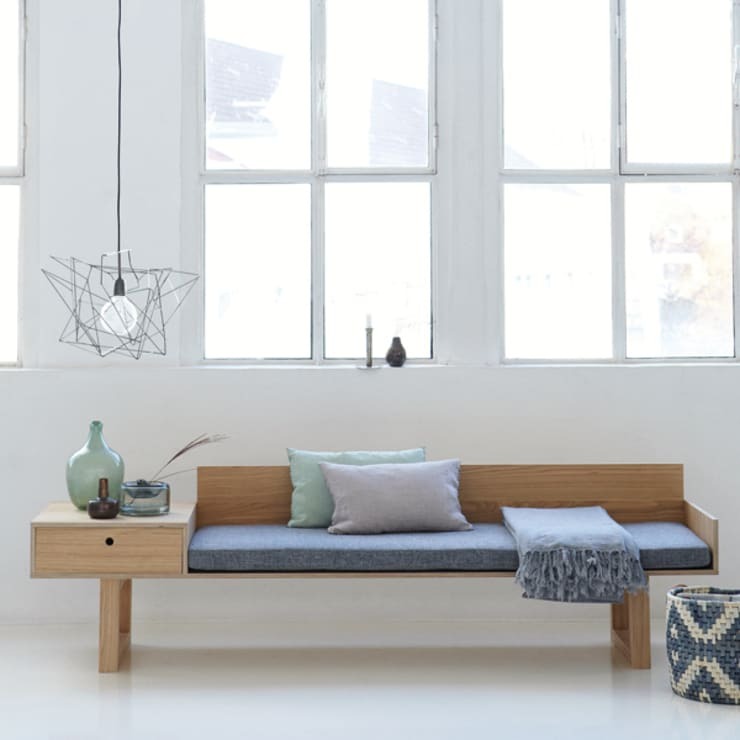 The sleek, minimal lines, the creative wooden couch with attached side table and the use of beautiful pastel blue and mint accents makes for a delightfully relaxing and stylish space. 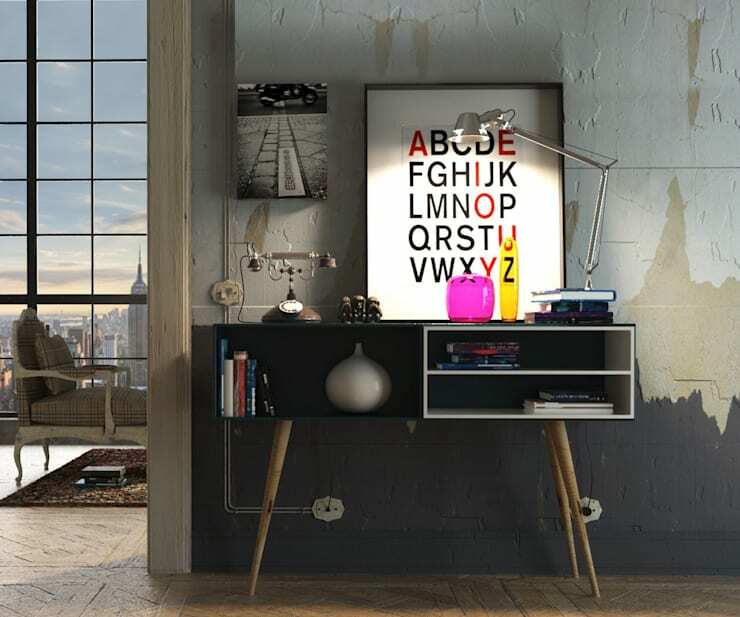 What takes the room to the next level, however, is the wicked cool lampshade (if you can call it that) which brings a little dash of fun to the space. Okay so there's modern, then there's modern. Sometimes designers try way to hard to tick all the boxes of cool, modern design and they often fail. Then in some instances, like this, where modern was clearly the key word in all aspects, they totally nail it. The casual, off centre placement of the Roman numeral wall art brings the room together, while the textiles and fabrics give it a softness. Our favourite thing about the room, however, is the lamp; it's stark, black and tall shape matches the black lines scattered around the room and brings a real sense of balance. Many of us don't have the luxury of a dining room, or even a real dining table. Instead we eat on the sofa, at the kitchen bench or at a desk. Perhaps that's part of what makes dining rooms and tables seem so wonderfully decadent and gorgeous. 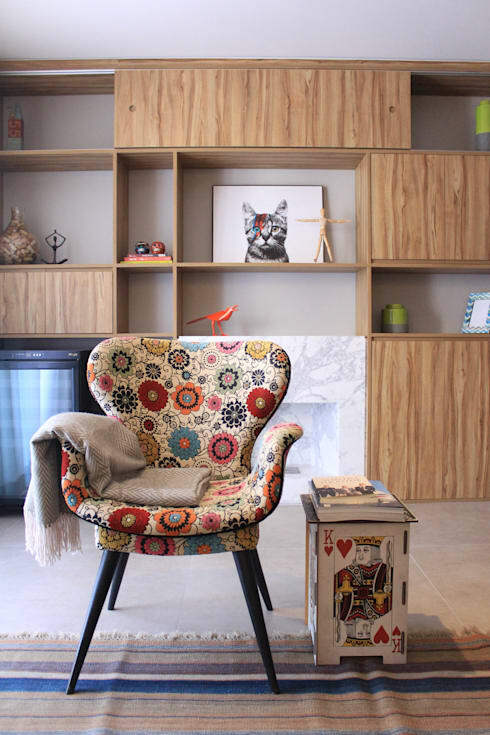 This room is particularly special because of its classic and contemporary design and interior scheme teamed with the playful placement of the colourful chairs. 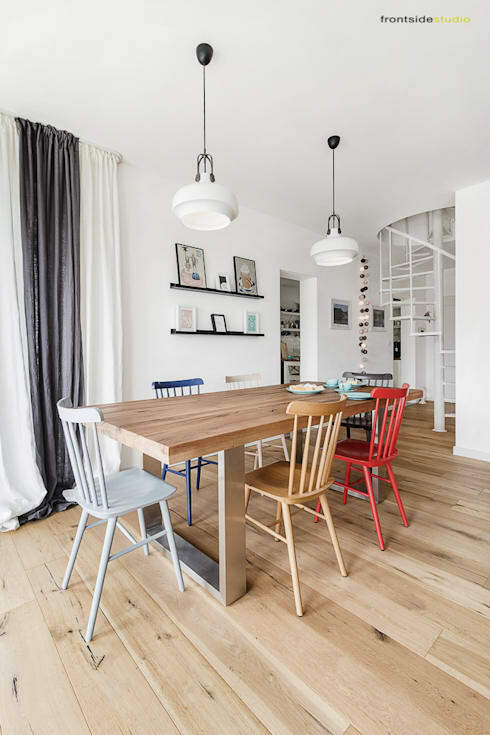 The floorboards and white walls are also totally appealing—but it really is the chairs that top the whole thing off! This combination of a kitchen island and a breakfast bar/dining area shows that having a large space is really not necessary to achieve a cool, classy and spacious kitchen. 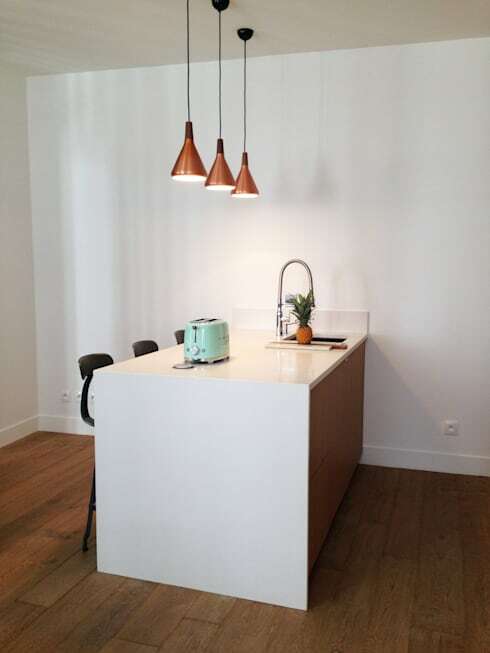 Doubling the kitchen island as the space for the sink, the toaster and also as the bar is a great way to make use of the space given to work with, and it's as simple as choosing a minimal, glossy white bench top and some cool appliances to bring the necessary modern feel. The choice of three overhanging lamps tops off the space perfectly, and brings an almost rustic element to the room. 10/10 we say. What do you think of these rooms? Do they appeal to you? Let us know!